Tesla and Elon Musk can't play nice with others. We run down the list and add the NTSB to the running tally. Tesla and Elon Musk can't seem to play nice with others. Whether it be forums within the government that keeps Tesla alive with taxpayer dollars, researchers from the Insurance Institute For Highway Safety, or consumer groups, Tesla will only play nice when things go its way. 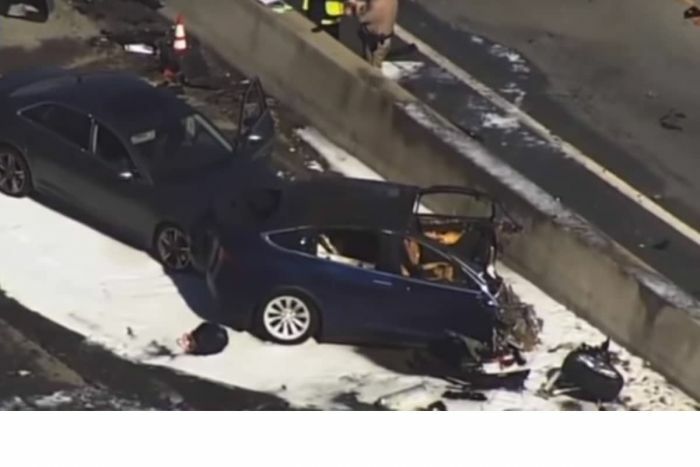 The latest example of Elon Musk having a tantrum and taking his ball and going home is an NTSB inquiry into why one of Tesla's six-figure minivans drove itself straight into a barrier, killing its occupant. Here is a quick rundown of Musk's hissy fits and tantrums. Early Tesla Model S cars failed early and often in independent testing. In testing by Edmunds, the drivetrain failed four times. Four. Motor Trend's Model S went through two drivetrains. When Autoweek tested the Model S, it would not charge at public chargers the group had successfully used with other EVs. Eventually, the reporter was left stranded when the defective Model S would not let go of the charge cable. Everyone who tested the cars knew they were early versions and that things would eventually get better. But these things don't happen with other manufacturers' test cars. Trust us, we have tested hundreds over the years. Yet, when Consumer Reports dared give Tesla less than a stellar score on expected reliability Musk Tesla had a fit. Tesla said in a statement, "Time and time again, our own data shows that Consumer Reports' automotive reporting is consistently inaccurate and misleading to consumers." That may be true, but does it change the fact that Tesla vehicles had been crazy unreliable when people who test cars tested them? No. In testing by IIHS, the Model S failed to earn a top score. In fact, the first time the independent organization, recognized by pretty much everyone in the auto industry as the most rigorous safety agency in America, tested the Model S it scored lower than pretty much every mainstream midsize car in production. It happens. Tesla has had very little experience with safety design and the Model S had a flaw. Tesla offered to fix the flaw and submit the car for a second test to prove it was fixed. In the second test, which is very rare by the way, the Model S still failed to earn a top score on the small frontal overlap test, landing the Model S at the bottom of its peers. Tesla's snarky statement on why its six-figure large sedan can't score well on the same test that a Corolla can ace was the following: "While IIHS and dozens of other private industry groups around the world have methods and motivations that suit their own subjective purposes, the most objective and accurate independent testing of vehicle safety is currently done by the U.S. Government which found Model S and Model X to be the two cars with the lowest probability of injury of any cars that it has ever tested, making them the safest cars in history." Tesla obviously trusts the government's wisdom over engineers at a respected safety organization. That's why it was so surprising when Elon Musk quit two advisory boards that he was invited to participate in. When the chief executive's views on certain subjects didn't jive with Elon's, Tesla top dog quit. Apparently, only some government agencies are wise. Tesla vehicles have driven straight into the sides of trucks, into the back of firetrucks, and most recently, into a highway divider. When an automaker's vehicles start doing things that kill people, the NTSB gets involved. LIke in every Tesla crash, it is always the other guy's fault. So when Tesla could not control the narrative on the latest fatality, the company "quit" participating in the NTSB inquiry. And of course, Tesla didn't just take its ball and go home. On the way, it shouted back over its shoulder it was going to tell its mom. Here's part of what Tesla's recent rant sounded like. "It's been clear in our conversations with the NTSB that they're more concerned with press headlines than actually promoting safety. Among other things, they repeatedly released partial bits of incomplete information to the media in violation of their own rules, at the same time that they were trying to prevent us from telling all the facts. We don't believe this is right and we will be making an official complaint to Congress. We will also be issuing a Freedom Of Information Act request to understand the reasoning behind their focus on the safest cars in America while they ignore the cars that are the least safe. Perhaps there is a sound rationale for this, but we cannot imagine what that could possibly be." You can read the full statement at our focus story. Tesla seems to find fault with any group, agency, or organization that speaks the truth or seeks the truth. Do you remember that kid from the neighborhood who was only fun to be around when things went their way?